The long awaited sequel to Sing to Me of Dreams! 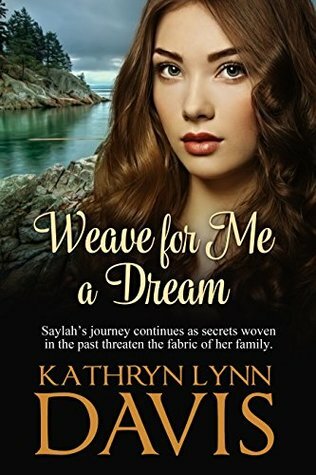 Saylah’s journey continues as secrets woven in the past threaten the fabric of her family. 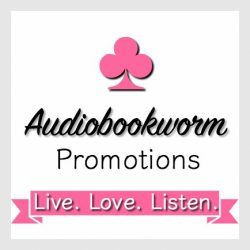 Saylah Ivy, once shaman of her Salish tribe, now wife and mother, continues her journey of discovery, following her white husband Julian as he seeks new adventure in the city. Where Saylah and their daughter Illiann must meet the challenge of living two lives: both Salish and White, while facing prejudice, discovery and danger along the way. Julian and their son Kit confront a powerful enemy who threatens their very lives. Meanwhile, secrets from their pasts haunt them daily. This is not my ordinary read and I don’t believe it follows the ordinary structure of a novel. Four stories are woven into one with chapters of various lengths, sometimes even a page. I understand why Davis did this. It has created a powerful, deeply moving story, and when speaking to my husband about it, I was again in tears. The subplots are quite large as Davis pulls the reader into each story all with heartache. Eventually the stories converge. My historical reads, more often than not, end with a happily ever after. This one ended with hope and unresolved life situations. I hope Davis continues taking us down the path of new beginnings for the main protagonist, Saylah, born from the Salish Indians, originated in the Pacific Northwest of the U.S. and British Columbia, as well as her daughter’s, who also feels the earth beneath her feet. I need to know what happens next! Davis wrote with such passion and detail, I often wondered if she has any Indian ancestors. Saylah holds magic within her spirit, grounded to the earth. She left her tribe to marry Julian. The two grew together and healed past life tragedies. Choices have to be made. Both worlds can’t all be hers, her tribe expects more from her, and Saylah’s previous life calls her. Julian Ivy, Saylah’s husband, with his need of doing something right in his life, brings the family to Vancouver Island, joins a friend, Devon, working in a newspaper company publishing The Voice. They, both, are passionate about helping those who don’t have a voice for justice and work to give them that right which then endangers his wife and children. Devon has a past with Barrett, the owner of a factory where the workers work for little and work in poor conditions. He doesn’t like him at all. He has temper control issues and very often acts without thinking. That fault nearly kills his best friend, Julian. Agatha, Barrett’s wife, is an extremely complex and proud woman. She is compelled to do the Ivy’s harm, using Smith, a greedy man to do her dirty work. In the end she loses her integrity, pride and security. The character, Mathilde, relieves tension as the stories builds. She is Simone de Marchand’s maid. Simone has had a difficult life. She left her son when he was very young, not because she wanted to, but she needed to protect her husband and Julian. Her life has been an unhappy one. She leaves France when she is free to, and hopes to see her son again. The rub, of course, is her son is angry with her for leaving him. So much is happening in this story, all quite emotional. One underlying theme: To love someone totally and completely, you may be asked to let them go. Another: Forgiveness will lighten your heart when done with sincerity. Another: To gain people’s loyalty, respecting them and asking the possible goes a long way towards that end. If you enjoy long stories with depth portraying the best and worst of men, this be surely one of them. 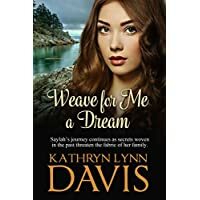 This entry was posted in Book Reviews, Historical Fiction, Historical Romance, Literary Fiction, Uncategorized and tagged Historical Fiction, Kathryn Lynn Davis, Literary Fiction, Weave for Me a Dream. Bookmark the permalink.